Why do I have to complete a Form 1 Liability Waiver? What if I don't complete the Form 1 Liability Waiver? Do all profits from the event go to charity? Can I transfer my registration to another person if I'm unable to ride for any reason? Do I get a refund if the event is cancelled by the organisers? Can I exchange my jersey / polo if it doesn't fit? Do I have to wear my jersey / polo during the ride? Do I have to wear my wristband during the ride? Can I wear my jersey / polo before or after the event? How is my jersey / polo being posted? I am from interstate and participating in the ride. Can I collect my jersey / polo rather than having it posted? Will there be road closures for the event? Is there transport available for the riders starting at Woodside? I have registered for the full ride but now want to do the half ride and take the bus from Unley Shopping Centre to Woodside? Will the event take place in any weather condition? What should I do if it is hot? The Lightsview Ride Like Crazy 2018 registration fee is not tax deductible. 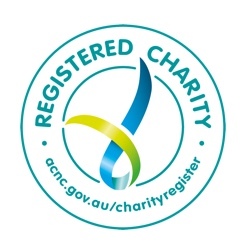 Under the Australian Taxation Office rules the registration fee is deemed a contribution, as each participant receives a benefit for the fee eg: jersey, refreshments. Legislation that came into effect in 2011 requires participants to sign a Form 1 Liability Waiver. Under Section 42 of the Fair Trading Act 1987, the supplier of recreational services is entitled to ask you to agree to exclude, restrict or modify his or her liability for any personal injury suffered by you or another person for whom or on whose behalf you are acquiring the services (a third party consumer). If you sign this form, you will be agreeing to exclude, restrict or modify the supplier's liability with the result that compensation may not be payable if you or the third party consumer suffer personal injury. It is a condition of Lightsview Ride Like Crazy that all adult participants (18+ years on the day of the ride) sign this form. Note: Children (under 18 years on the day of the ride) DO NOT sign the Form 1 Liability Waiver. Riders are required to read, sign, date and have the form witnessed. The Form 1 Liability Waiver will be required to be handed to a Lightsview Ride Like Crazy volunteer at the start of the ride. This will complete the registration process and riders will then be provided with their wristband. The Form 1 Liability Waiver can be downloaded from the Lightsview Ride Like Crazy website. If you do not complete the Form 1 Liability Waiver, for whatever reason, you will not have complied with the Terms and Conditions of Lightsview Ride Like Crazy and you will not be provided with a wristband. Under these circumstances, you will not be considered as having completed the registration process. Yes. Every cent of profit raised during Lightsview Ride Like Crazy 2018 supports the Flinders Medical Centre Foundation and the Neurosurgical Research Foundation. Since 2010, Lighstview Ride Like Crazy events have raised a total of over $1.3 million for charity. No, as emergency contact details cannot be transferred. If you cancel your registration up to Friday 6 January, 2018 you will receive a refund less a $35 administration fee (for exceptional circumstances refer to point 13 of Terms & Conditions). The refund will be returned to the credit card used when registering for the event. If Lightsview Ride Like Crazy 2018 is cancelled by RLC Inc. at any time, all registered participants will receive a refund less a $35 administration fee. The refund will be returned to the credit card used when registering for the event. In such circumstances RLC Inc will endeavour to do their best to provide a comparable Event. To exchange your jersey / polo please contact the distributor direct who MAY be able to exchange the size if they have spares (refer distributor contact details under Jersey tab on this website). No. However, participants are encouraged to wear the official jersey / polo on the day of the event. Yes. Riders are required to wear their wristband in order to receive food and refreshments along the route and lunch at Unley Oval. Yes. We encourage you to wear your jersey to promote Lightsview Ride Like Crazy 2018 and the sponsors who are kindly supporting the event. Jerseys / polos will be posted within Australia via Australia Post in a tracked parcel. We only guarantee a jersey / polo prior to the ride for those who registered by the cut-off date in November. If you wish to collect your jersey / polo on the day of the ride (instead of by post) please advise by email prior to mid-December. Ride Like Crazy Incorporated will determine and advise if any road closures are required. This event is not a race and all riders must obey the Australian Road Rules and all pertinent legislation. All registered participants receive an official Lightsview Ride Like Crazy 2018 rider's jersey. Participants will also be issued a wristband (subject to the requirements relating to the Form 1 Liability Waiver, as above, or the 2018 Terms and Conditions) which must be worn on the day of the ride to ensure a free lunch at the conclusion of the ride. Food and refreshments will also be provided at stations along the route. Yes. During the registration process, riders will be able to nominate to be transported to Woodside at a nominal fee. Included in this cost, rider's bicycles will also be transported to Woodside. I have registered for the full ride but now I want to do the half ride and take the bus from Unley Shopping Centre to Woodside? To ensure there are sufficient places on the bus please send an email from the website of your intentions. On the morning of the ride please go to the Service Desk at the Unley Shopping Centre and pay the bus transportation fee. Children are encouraged to participate in the ride subject to the Terms and Conditions included within the online registration process. A registered parent or guardian consent is required. Children (under 18 years on the day of the ride) DO NOT sign the Form 1 Liability Waiver. The event may be cancelled in accordance with the Lightsview Ride Like Crazy Cancellation Policy. Remember - this is a ride and NOT a race and as such, you need to pace yourself accordingly. It is the responsibility of all participants to maintain adequate hydration levels throughout the ride (extra refreshment stations may be provided if required). In the event that you do not feel well during the ride, please stop immediately, rehydrate and seek assistance where required.